Skin Lycomplex is a health supplement rich in Vitamins and Trace elements, created for the well being of skin, nail and hair. Its multinutrient composition makes it a valid support to fight the signs of age from within, and to prevent the damages caused by stressful external agents like pollution, smoke, UV rays. 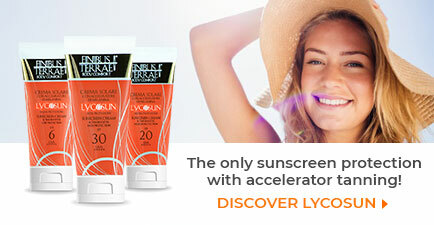 Protect the skin, hair and nail from the attacks of pollution, smoke and UV rays. 400 mg of MSM high in sulfur, to help maintain the elasticity of the connective tissue. 100 mg of Marine Collagen, essential help to the connective tissue to prevent the appearance of wrinkles. 10 mg of Coenzyme Q10, which performs an essential antioxidant action. 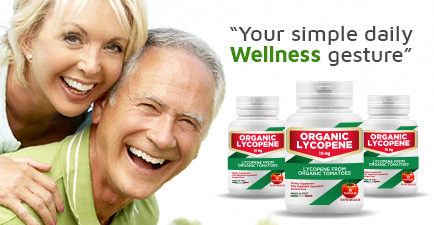 10 mg of LycopenePSC, with precious antioxidant properties to help counteract the excess free radicals. Copper, Zinc and Selenium, essential Trace elements for the health of skin, hair and nail. Multivitamin complex,particularly Group B Vitamins, Vitamins C, H & E.
One capsule a day with a glass of water after meals. 700mg x 30 capsules in pillbox. Skin Lycomplex is a natural health supplement rich in Vitamins and Trace Elements, formulated for the well being of skin, nail and hair. Vitamins, minerals and amino acids deficiency lead to a loss of tone and elasticity of the skin, and the consequent deterioration of the skin appendages. Thanks to its multinutrient composition, Skin Lycomplex is a valid support to fight the signs of age and prevent damages on the skin and skin appendages by stressful agents such as pollution, smoke and UV rays. MSM, also known as “beauty mineral”, is a natural compound rich in organic sulfur, which contributes to keep the skin smooth and young and the hair soft and shiny. Essential in the synthesis of collagen, it is present in keratin, an essential element to maintain the health for skin, nail and hair. Marine Collagen, a protein among the most present in the human body, is an essential support to the connective tissues and to prevent wrinkles, breakdown and ageing signs. Collagen supplementation is important since its natural production is not consistent over time and tends to progressively decline with age. Already from age 25, it is possible to notice a lower production of such protein, followed by a progressive weakening and breakage of the epidermis structure. Vitamin C contributes to the normal formation of collagen and helps the absorption of Iron, ensuring health and wellbeing of gum, skin, cartilage and bone. It maintains the functionality of various layers of keratin, with a positive action on nail and hair and it also performs a valuable antioxidant action. Group B Vitamins, characteristic nutrients of the skin, the deficiency of which is noticeable by the typical white spots on the nail. In particular, Vitamin B6 helps the functional synthesis of Cysteine, the main component of Keratin. Vitamin H, specific nutrient which helps the balance and regulation of sebum production. New studies have demonstrated its importance in the synthesis of keratin. In particular, its action affects thin and weak hair and the quality of keratin structures (weak nail). Vitamin E and Lycopene PSC, precious antioxidants essential to protect the cells from ageing by eliminating the excess free radicals. Coenzyme Q10 (Ubiquinone) represents an essential element for the correct energetic balance in the cell. 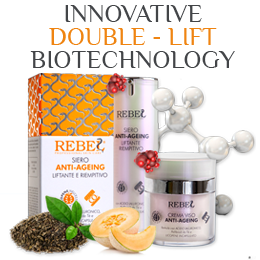 It’s a very powerful antioxidant, very helpful to prevent cellular ageing. Copper, an essential trace element which contributes to the regular skin and hair pigmentation (it’s involved in the production of melanin), plays a crucial role in the production of energy, possesses antioxidant properties and supports the immune system, alongside with being involved in the production of collagen and elastin. Selenium and Zinc, essential trace elements. In particular, Selenium possesses antioxidant properties and helps the regular function of the immune system; together with Zinc, it helps to support the health of hair (helps preventing hair loss) and nail. One capsule a day, taken orally, with a glass of water after meals. Do not exceed the recommended daily intake. Keep away from the reach of children younger than 3. The product is intended as a supplement to a varied and balanced diet and a healthy lifestyle. Store in a cool and dry area and away from heat. The expiry date refers to a product stored correctly in intact packaging. 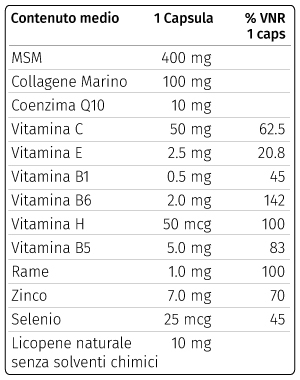 INGREDIENTS: MSM, Collagene marino idrolizzato, Vitamina C (acido ascorbico), Etil cellulosa, Zinco gluconato, Lievito al Selenio 0.2% in Selenio, Ubichinone (Coenzima Q10), Pomodoro (Lycopersicon esculentum Mill.) frutto e.s. 6% in Lycopene naturale senza solventi chimici, Maltodestrina da mais, Rame gluconato, Vitamina B5 (Calcio pantotenato), Vitamina E (tocoferil acetato), Gelatina alimentare, Biossido di Silicio (E551), Vitamina B6 (Piridossina cloridrato), Vitamina B1 (Tiamina cloridrato), Vitamina H (Biotina). Coloranti: Titanio biossido (E171).